Are you looking to explore the beauty of the Greek islands and more importantly of unforgettable Chania in Crete? 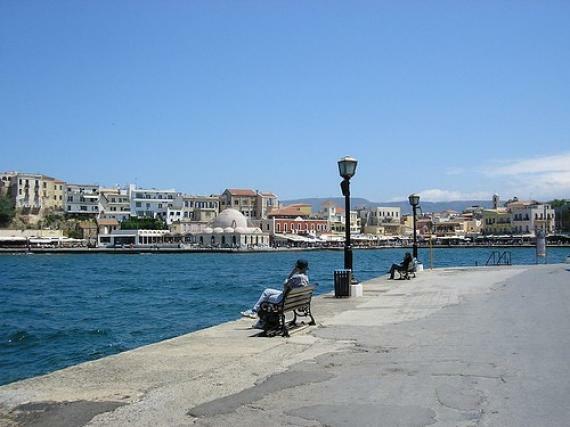 It is definitely true that Crete is a huge island but Stalos in Chania is a place really worth visiting for its beauty. Stalos is offering you the chance to fill your memory with the most unforgettable holidays of your life. Situated right above Stalos village on the west of the city of Chania, in a distance of 7km, Stalos beach is a very long sandy beach with soft sand that will help you understand why this amazing beach is so famous and will make all your worries go away instantly. Its crystal clear waters will offer you the chance to enjoy your swim and you will see your dream finally coming true. Kato Stalos along the coastal side of Chania is among the most popular resorts of the northern side of Chania but while in Stalos enjoy your day with a day trip to Platanias or even for a great night out you may have your drinks at the nearest villages like Agia Marina famous for its vivacious nightlife. In Agia Marina you will find a great deal of night clubs, restaurants and cafes as well as Greek taverns serving you real rustic Greek flavors and Cretan delicacies. More importantly you may enjoy your swim in Stalos, the beach that has been awarded with a European Union blue flag for its clarity and your days at work will seem so really far away and the truth is that they will be! A wide variety of hotels, apartments, restaurants, beach bars and shops at your disposal may be found here and in a 1,5 kilometer distance you will find the settlement of Pano Stalos. A small picturesque village that combines natural beauty, stunning beaches and traditional architecture to compose a unique holiday destination in the island of Crete! Find information about selected Hotels, apartments and rooms in Stalos to choose the perfect place for your accommodation.